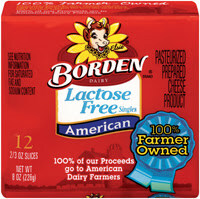 Real or perceived, a growing number of consumers claim lactose intolerance, and as a result, avoid all dairy products. This, as those of us long-timers in the dairy industry know, is not necessary. Research shows that consumers with “real” lactose intolerance can actually tolerate small doses of fluid milk (the dairy product that’s the most concentrated source of lactose) throughout the day. Further, there are many dairy products that contain so little lactose, that they should not be an issue. Most fermented dairy products—kefir, sour cream and yogurt—also contain very low levels, if any, of lactose. Yet, seldom is this information relayed to consumers who want to enjoy dairy products but intentionally avoid them because they fear the repercussions of consuming lactose, which typically comes in the form of gastrointestinal distress. There’s also data showing chocolate milk is better tolerated by those intolerant to lactose, and this may be due to the added cocoa, which slows the transit time from stomach to colon. This might be why some find whole milk is better tolerated, too, as fat slows transit time. For the most part, “lactose intolerance” symptoms occur when the load of lactose is very large and rapidly arrives in the large intestine of consumers who do not possess sufficient amounts of the enzyme lactase. That’s when lactose can overwhelm the system. If small amounts of lactose slowly arrive, the microflora in the gut digests the lactose at an even rate and no or minimal discomfort is experienced by those individuals who truly have lactose intolerance, a.k.a., do not produce sufficient lactase. With that said, marketers around the world are recognizing that there’s a great deal of opportunity in flagging the minimal to zero lactose content of dairy products. For example, Lifeway Foods just started touting the fact that its kefir is 99% lactose free. This information is boldly printed on product labels. If you can too, do it! Why? Well, for starters, the dairy industry has an opportunity to achieve 273 million gallons of incremental growth by targeting the lactose-intolerant consumer segment, according to a 2010 Innovation Center for U.S. Dairy white paper from Dairy Management Inc. (DMI). Through analysis and insights gleaned from several studies, including a survey of 10,000 Americans, the white paper provides the dairy industry with a roadmap to better understand and effectively reach consumers who avoid dairy due to real or perceived lactose intolerance, and ultimately to help bring them back to the category. By expanding the availability and variety of lactose-free milk and milk products beyond in-home consumption and educating consumers that, in most cases, they can keep dairy in their diet one way or another while minimizing symptoms, the dairy industry can offer this market segment the taste and nutrition they crave in ways that meet their specific needs. These efforts will not only help increase demand for lactose-free milk, but also for other more easily digested dairy products such as natural cheeses and yogurt. To read this white paper, click HERE. Further, according to research by New Nutrition Business, the lactose-free dairy category has experienced 100% growth during the past five years, and is one of the most significant yet little-noticed developments in the food and beverage business. While many companies have had their eye on the surge in gluten-free products, few have noticed that consumers’ desire for products that are “free-from” something that they perceive as negative for their health has also been having an effect in the dairy category. Innova Market Insights data indicates that global new product launch numbers for lactose-free dairy products more than tripled in the five-year period leading up to the beginning of 2012. The share of total tracked dairy introductions featuring a lactose-free positioning rose from less than 2.5% to 4.5% over the same period. Levels of interest and subsequent new product activity have been particularly high in the U.S. and Western Europe, which saw products marketed as lactose-free account for 10% and 6% of total dairy launches, respectively, in the 12 months to the end of March 2012. Here in the States, McNeil’s Lactaid brand can now be found in pretty much every dairy product category—from refrigerated yogurt to cottage cheese to fluid milk to ice cream. Earlier this year, General Mills extended its Yoplait yogurt brand with the sub-brand of Lactose Free. Kozy Shack now offers its puddings in a lactose-free formulation. The line includes Lactose Free Rice Pudding, Lactose Free Tapioca Pudding and Lactose Free Chocolate Pudding. The development of private-label ranges, in particular within the fluid milk sector, has also driven awareness in the market, with most of the major U.S. retail chains now offering an extensive range of lactose-free milk products, including flavored products. Valued-added milks also now come in lactose-free variants. For example, there’s Smart Balance Lactose-Free Fat Free Milk with Omega-3s. The product also contains 20% more calcium and protein and sports the REAL Seal. Organic Valley has an extensive range of lactose-free milk offerings. Danone’s market-leading Activia yogurt brand now includes a lactose-free option in a number of European markets. In New Zealand, the Anchor dairy brand has been extended in the milks market, with two lactose-free alternatives under the Zero Lacto Blue and Zero Lacto Trim ranges. Finland’s Valio offers lactose-free butter. In Germany, Omira Oberland-Milchverwertung GmbH, a dairy that developed the Minus L Laktosefrei line of cheese, fluid milk and yogurt a few years ago, continues to grow its dairy products line, as well as expand use of its lactose-free dairy foods into other products. Less than a year ago, the company debuted mascarpone cheese, vanilla sauce and ready-to-eat pudding, all made with its lactose-free milk. There’s also a new instant cappuccino mix based on a dried milk powder derived from this milk. 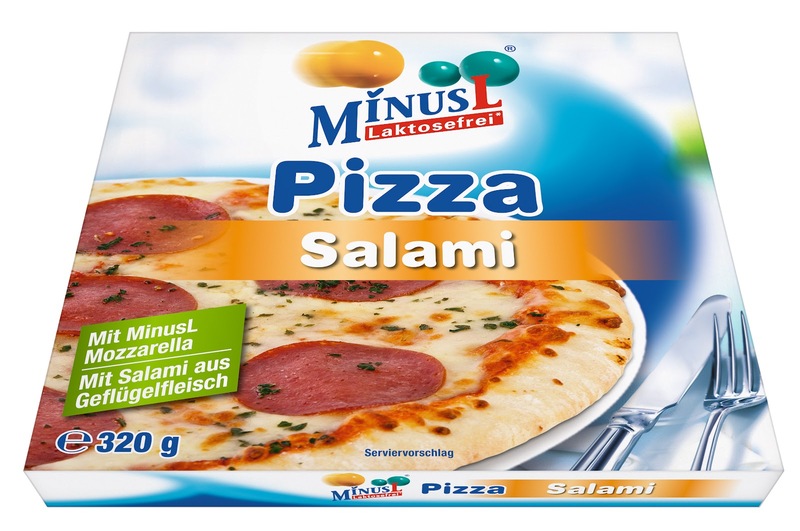 In addition, Minus L Laktosefrei mozzarella cheese is being used on a namesake line of frozen pizzas. According to New Nutrition Business, there are few markets where you can win “a customer for life,” customers who are also willing to pay a premium. Lactose-free dairy is one of them. This is an opportunity to win back customers who want to be back. One of my favorite cultured dairy products—cottage cheese—is poised for a comeback thanks to its inherent high-protein content and ability to complement both sweet and savory flavors, enabling it to be an appetizer, snack, meal or dessert. There’s no doubt that dairy proteins are one of the most on-trend ingredients and food components in the food industry today. 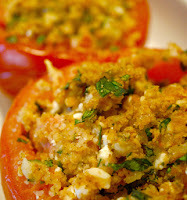 (Prototypes sampled at the 2012 IFT Annual Meeting & Food Expo are testament.) Greek yogurt, sports beverages, nutritional drinks and simple, traditional chocolate milk…dairy proteins are inherently in so many dairy foods and they are being added to so many others. So let’s revisit cottage cheese…the former accompaniment to half of a canned peach on the corner restaurant’s diet platter. After all, cottage cheese is a protein powerhouse that can be so much more than curds floating around in a (yummy) creamy dressing. Friendship Dairies leads with its 1% milkfat variety, which delivers a whopping 16 grams of protein per half-cup serving. It’s no wonder Friendship has decided to boost its marketing of this powerhouse protein product. The company recently introduced inventive mix-in ideas and recipes, elevating cottage cheese to a must-have staple for on-the-go snacks and tasty, wholesome meals. Healthy, creative and delicious, these fresh ideas showcase the scrumptious versatility of cottage cheese. Consumers are rediscovering cottage cheese as an adaptable and surprising base ingredient as well as a great source of nutrition. If you are a cottage cheese marketer…you should be doing the same. What would be even better is to offer innovative inclusions in a separate compartment with a single serving of cottage cheese. Thank you Friendship Dairies for the following innovative mix-in/topping suggestions and recipes for cottage cheese. Friendship’s new recipes incorporate a range of ideas from breakfast to dessert, including starters and vegetarian dishes that add healthy, flavorful twists to classic dishes. Putting a spin on Spinach Artichoke Dip, Friendship has lightened this appetizer by using cottage cheese, giving it fluffiness and full flavor without the fat. In a new take on a traditional Italian classic, Friendship’s whipped cottage cheese takes the place of ricotta in Pasta A La Norma, creating an incredibly authentic tasting tomato and eggplant pasta. The eggplant and whipped cottage cheese meld together, enhancing the creaminess and elevating the dish. Triple Berry Streusel Parfait contains an incredibly smooth, exquisitely rich cream based on 1% milkfat cottage cheese blended with sour cream and sugar. For more information, visit http://www.friendshipdairies.com/. But, just as one marriage ended, another commenced this past week, and that was between PepsiCo Inc., and the Theo Müller Group, the largest private dairy business in Germany. I first heard about the possibility of this joint partnership in April from an editor friend in Germany who expressed concerns and doubts about the possibility of the union ever taking place. It did. And it has taken the name of Müller Quaker Dairy. 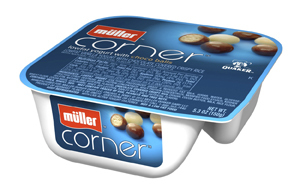 The first products Müller Quaker Dairy plans to roll out are refrigerated yogurts. They will initially be produced in Germany and imported into the States. Production will be transferred in 2013 to a new, state-of-the-art yogurt manufacturing plant in Batavia, N.Y., that the joint venture is building. The initial rollout includes 16 stock-keeping units (SKUs), representing three different lines. 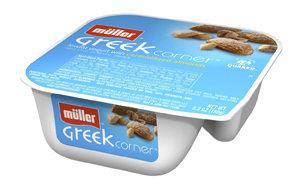 Müller Corner and Müller Greek Corner come in a dual-compartment, square-shaped container. 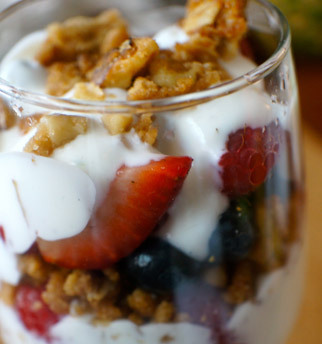 The add-ins can be flipped, stirred or dipped into the yogurt. Corner varieties include Blueberry, Strawberry, Crispy Crunch, Choco Balls, Chocolate Flakes and Crunchy Granola. The Greek-style varieties include Honeyed Apricot, Strawberry, Blackberry & Raspberry, and Caramelized Almonds. 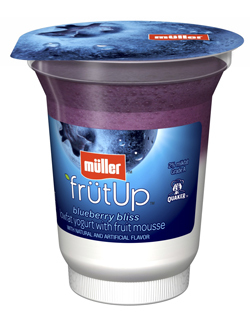 Müller FrütUp varieties include Blueberry Bliss, Very Cherry, Luscious Lemon, Peach Passion Fruit, Radiant Raspberry and Splendid Strawberry. The fruit comes in a mousse that sits on top of the yogurt for the consumer to stir in. I know these products are great because I have enjoyed them during my frequent visits to Germany. The company has decades of category-leading innovation and dairy expertise and is one of Europe’s most well-known yogurt producers. I understand the company’s desire to get into the U.S. market. in the States with a dedicated innovation-driven research and development program, a robust go-to-market system, and superior marketing and brand recognition. I want this marriage to work, not only because the products warrant success, but also because these two companies are vested in growing the dairy business through innovation. But I have concerns. For starters, after seeing Kraft Foods Inc., cease production of its Athenos Greek yogurt line after only being in the market for about a year and a half, I worry that the Greek yogurt consumer will not embrace a product boasting a German brand and the Quaker Oats man. After all, Athenos was an established Greek hummus, cheese and pita brand, and it could not sustain a yogurt line. Then there’s the fact that most Americans don’t know the Müller brand. The good news is that with 16 items rolling out at once, the brand should be noticed on the store shelf. But is there room for that many SKUs? Indeed, one of the biggest challenges for any dairy trying to break into the yogurt market is getting shelf space. PepsiCo, with its mammoth distribution system, is already a player in the refrigerated dairy case with its Tropicana juice brand. Is that enough clout to reduce the facings of another brand? That is what must happen. It’s not like a supermarket is going to add extra cooler space to house these 16 new items, which, in their defense, do bring excitement to the category. The good news is that Müller Quaker Dairy is working with a trusted team of agencies to bring the playful discovery of the new products to life. The company would not disclose specific marketing dollars, but did tell me that they are touching all communication points--TV and print ads, street sampling, in-store activation and online engagement initiatives--to reach its target consumer, which is women between the age of 21 and 49 years. Who knows, maybe supermarkets will add refrigerated dairy space. After all, Americans consume less than half the amount of yogurt that Europeans do. Good luck to Müller Quaker Dairy! Congratulations and best wishes for many happy years!